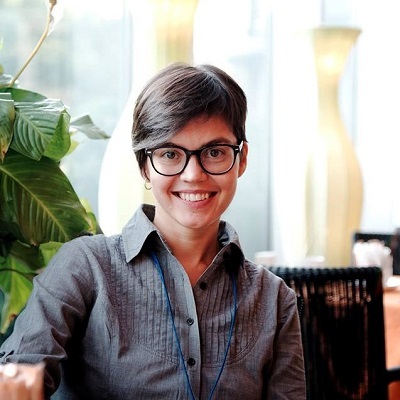 Anastasia Danilova (she/her) is an European representative to ILGA Board and the Executive Director of GENDERDOC-M Information Center, the only non-governmental, community-based organization which promotes and protects the rights of lesbian, gay, bisexual and transgender people. She received support and legal assistance from the organization in 2004 as a victim of discrimination, and then she decided to fight for her rights in spite of police harassment. Then she was involved as a volunteer in the publication of a magazine for lesbians, Theme. She shared her personal story and motivated other community members to protect their rights in Moldova’s homophobic society. Before becoming Executive Director in April 2010, she was GENDERDOC-M’s Women’s Program coordinator.